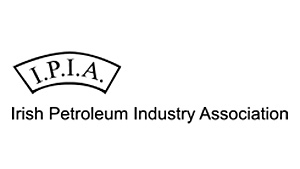 The Irish Petroleum Industry Association – IPIA – is the representative body of those companies in Ireland engaged in the importation, distribution and marketing of petroleum products. Its membership represents about 95% of the oil industry in the Republic of Ireland. The IPIA promotes the interests and represents the views of the oil industry-particularly with regard to environmental, health and safety issues. The IPIA is recognised by Government as the representative body for the industry. The IPIA promotes the understanding by the public of the oil industry’s contribution to economic, technological and social progress. The functions of the IPIA do not extend to any matters relating to the terms and conditions of sale of product. The IPIA works alongside other European petroleum interests through FuelsEurope. This included a campaign some years ago across 29 countries encouraging consumer to Save More Than Fuel by making small adjustments to their driving behaviour. For the foreseeable future, about 60% of Ireland’s energy requirement will come from oil – most of this being through an infrastructure of independent Irish companies. IPIA members are Applegreen, East Cork Oil, Emo, Inver, Irving Oil, LCC, Maxol, TOP, Topaz and Valero. Dear Louis, thank you for your comment. Please contact the organization directly at their website http://www.ipia.ie/. Organizations listed on PetrolPlaza do not receive direct notifications about the comments posted on their pages. Thank you! 2 questions: (1) what is the % of ethanol currently added to petrol in Ireland? (2) Is there any petrol additive on the Irish market to protect small engines from the adverse effects of ethanol?